Congratulations! Your data is controlled, aggregated and turbocharged in your AtScale virtual cube. You have Tableau to create remarkable visualizations. Your data is happy! But are your cube designers and business users too? For instance, did you know that centralizing calculations in your AtScale Virtual Cube eliminates TDE perpetuation, 3rd party ETL processes and version control headaches? 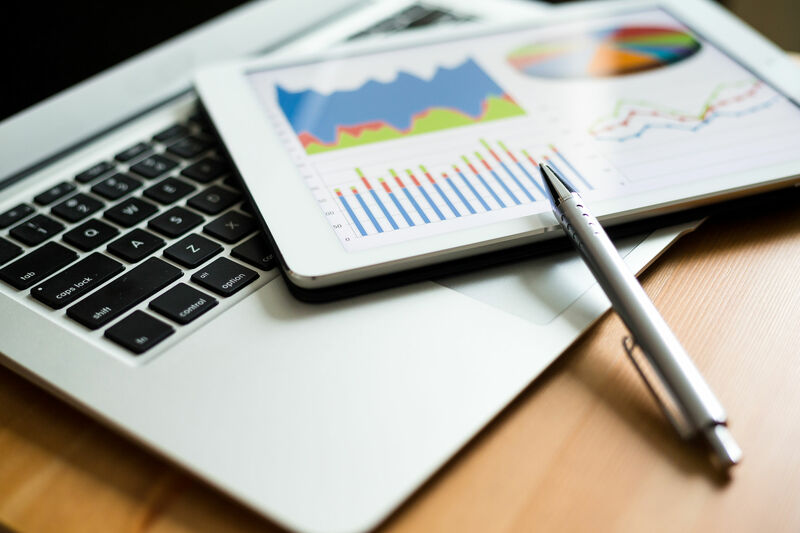 For an enhanced AtScale experience, here are 5 Best Practices you should be implementing in order to maximize AtScale on Tableau. When defining Tableau Filters you should avoid using calculated fields (Tableau Calculated Field, Atscale Calculated Column/Measure) that evaluate every source row. In the following example, Order Year and Order Quarter are concatenated as strings and then converted to integers so the field can be used in a filter range. Executing a query for the sum of sales by year and quarter with the above filter results in evaluating 4 CASTs and 1 CONCAT operation for every row. This kind of calculation prevents the SQL engine from partition pruning. 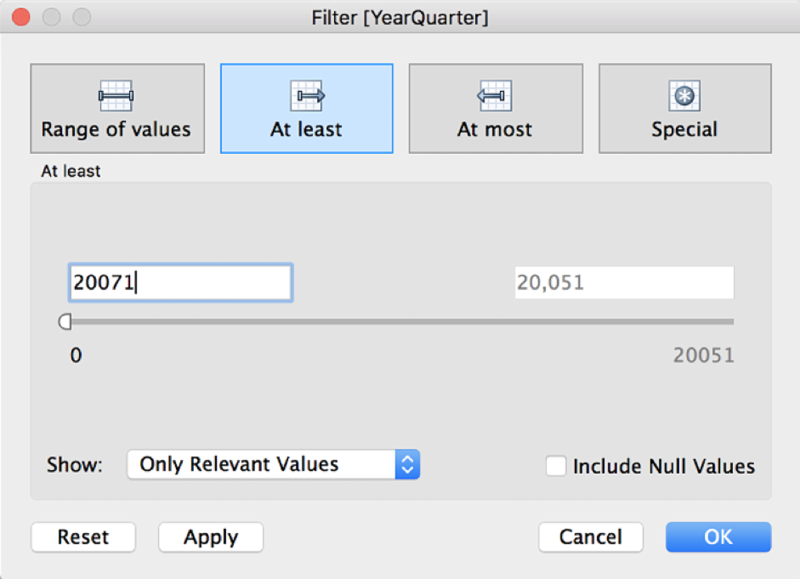 Instead, Tableau authors should break the filter up into a Year filter and a Quarter filter— eliminating row level calculations and taking advantage of partition pruning. If your table is partitioned by YearQuarter, then this query will execute much more quickly. "Partition pruning is an important technique for managing query access times in big data systems. The details of its behavior depend on your data warehouse engine, file format type, block size, and other system configurations. Please check your data warehouse documentation specific to your installation"
Figure 1 shows the rendering timeline for a test dashboard. Starting from the top of the chart and reading down, we see that at any given time a maximum of five queries are executing concurrently (i.e. bars overlap). The boxes in red show time spent waiting before the rest of the queries start. The queries in the blue boxes must wait for execution threads to free up before they can even start. The default number of concurrent Tableau desktop queries is 16 (for Tableau Server, the number is set by your administrator). If your dashboard requires more than the number configured max parallel queries to render, then some of your queries will wait until other queries finish executing. This is a metering feature in Tableau to prevent a few workbook users from overwhelming the database. For information on increasing the number of parallel check out the Tableau Desktop and Tableau Server best practice articles. Be aware that Tableau’s Automatic Subtotal and Grand Total features submit sequential queries for each subtotal/total level you want to compute if the view includes “Count Distinct” or “Count Distinct Estimate” fields. These sequentially executed queries will slow down worksheet rendering. As of this writing there is no way to force Tableau to execute these queries in parallel. Simply be aware of the load-time cost of this combination of features so that you can design around them if you wish. Tableau offers different features to allow authors to create the visualizations and interactions they need. These features often affect the performance of the query that Tableau issues to Atscale to retrieve data. 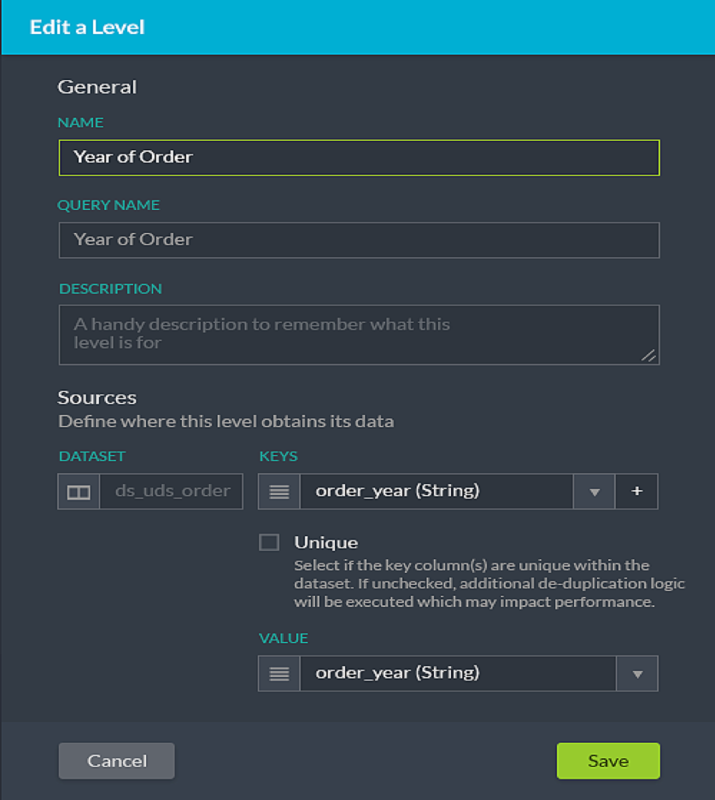 In this section, we will review several Tableau features that have an effect on query performance during data retrieval and provide recommendations on how to best optimize your visualization. 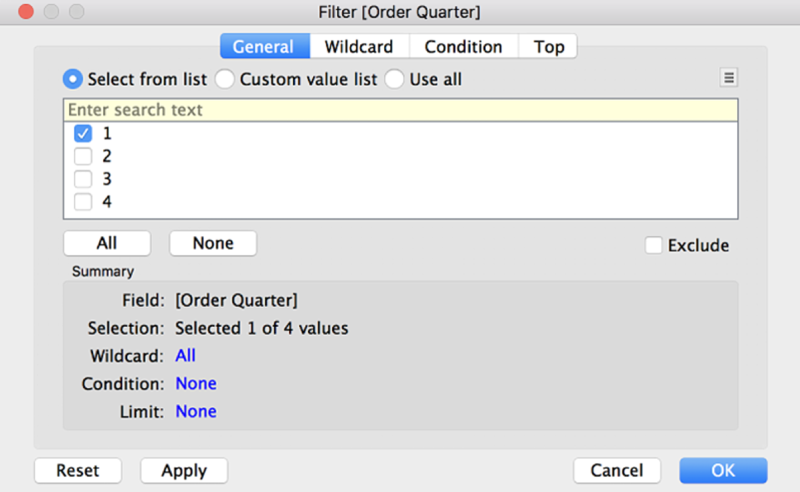 With each dimension or measure that is dropped into Tableau’s Filters Card, the field and its values get passed into the the query statement’s WHERE clause. 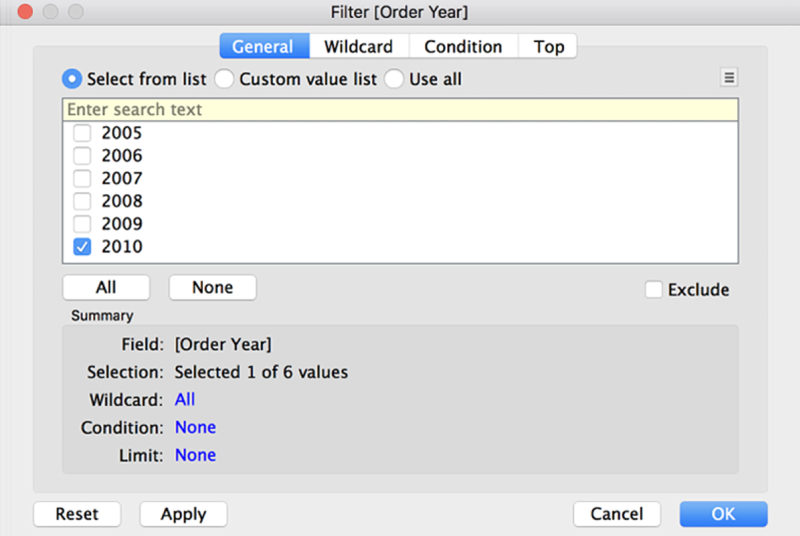 The more dimensions and measures that are added to the filters card, the greater the number of fields the WHERE clause will include. Figure 2. Query complexity when using Tableau to calculate parts of a date (i.e. Week Number and Weekday). Figure 3: Simplification of query when using preprocessed Atscale date dimensions (i.e. Week of Date, Weekday of Date). 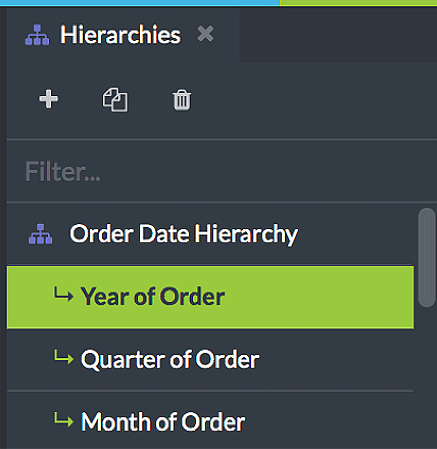 In addition, it is always best practice to evaluate the filters you need to bring into the dashboard. 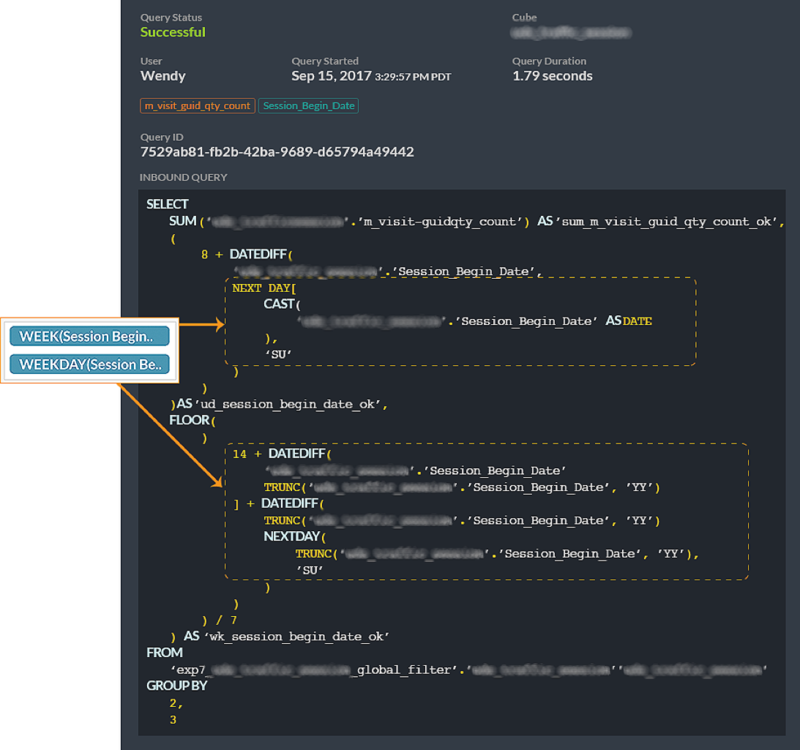 When sorts are applied to dimensions within a Tableau visual, the measure that the sort is also included in the query statement’s SELECT clause that Tableau sends to Atscale. 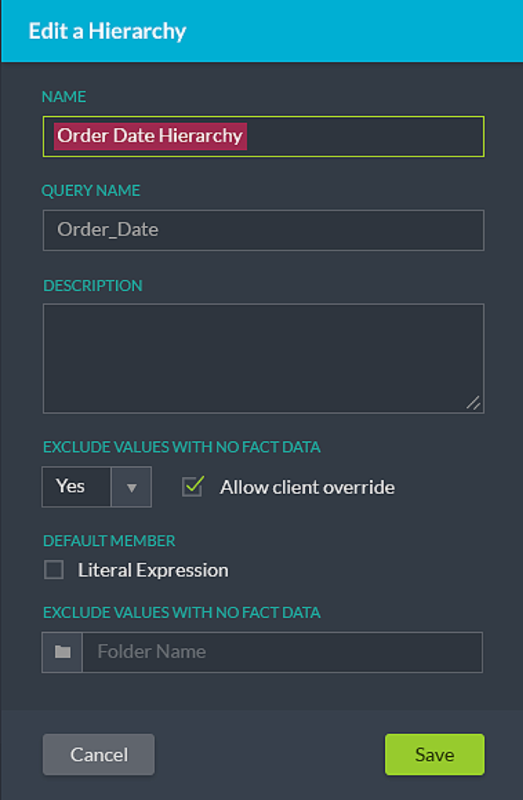 So even though the measure that Tableau is using to sort the visualization on is not explicitly displayed, the measure is still added to the query that is sent to Atscale during data retrieval. The more measure based sort rules that you specify on the visualization’s dimensions, the more measures you end up adding to the query. 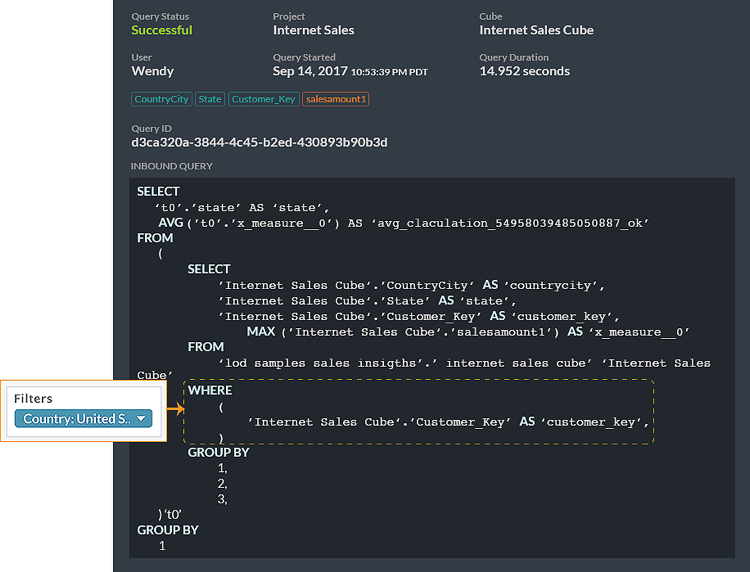 Measures and dimensions that are called from parameter feature will be added to the “SELECT” clause of the query statement upon usage in the Tableau visualization. The number of measures the query will include is directly dependent on how many are listed in the parameter calculation. By comparison, the dimensional parameter will pass in the particular dimension selected by the user in the parameter. In the following screenshots (Figure 1), we’ve set up a couple of parameters. One dimensional parameter where it will allow the user to choose a dimension to slice the visualization by. 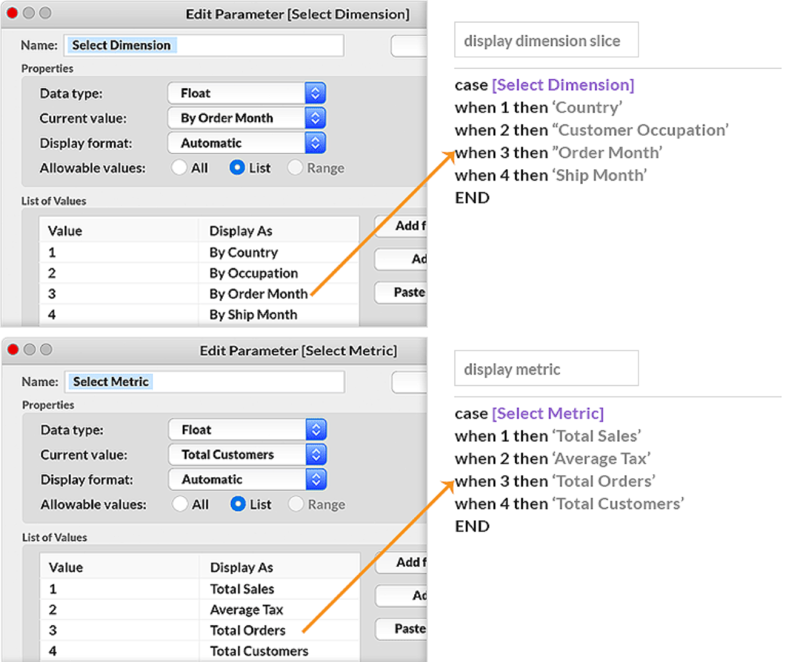 One measure based parameter where it will allow the user to choose the metric to display. When a user interacts with these parameters, the resulting query that is issued includes all of the measures from the measure based parameter calculation and the single dimension selected from the dimensional parameter calculation (Figure 2). 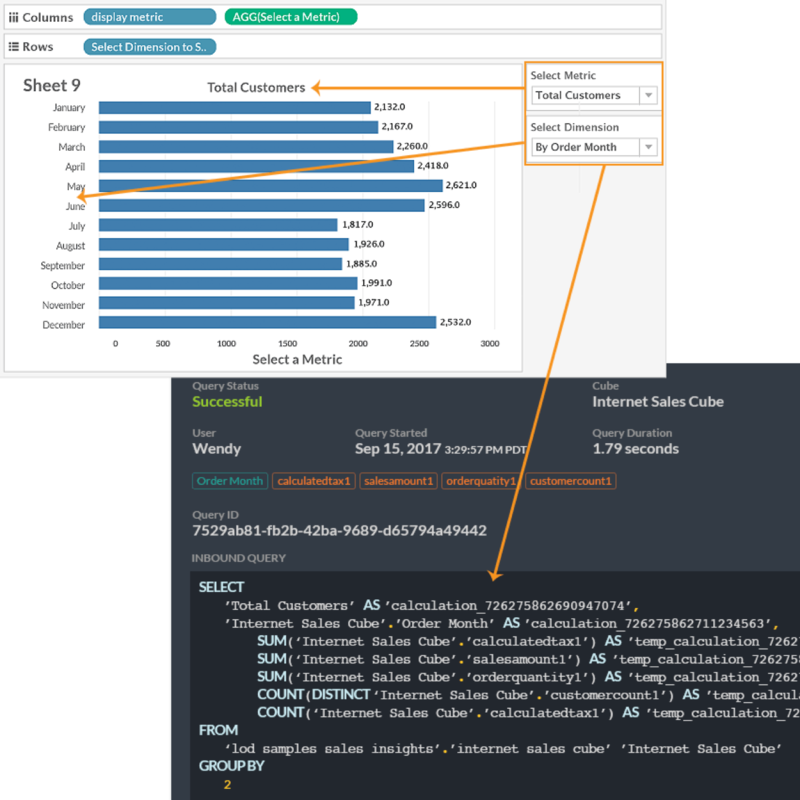 Figure 2: Resulting query statement issued from Tableau and sent to Atscale. Notice the “SELECT” clause. It contains the 4 measures called from the [display metric] parameter calculation and the single selection made from the [display dimension slice] parameter calculation. If Date dimension attributes are to be used in filters (i.e, Year = 2016, 2017), you will get better query performance by creating an AtScale dimension from the date field in the fact table, versus using Tableau’s built-in time intelligence features. 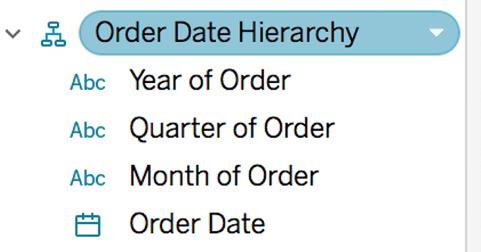 The example below uses the Order Date from the fact table and creates a hierarchy, with attributes for Year, Month and Day. It is common practice for the Tableau author to drag and drop the “Order Date” field from the dimension pane to the filter and select the YEARS part if the user wants to filter the data between the years 2015-2017. 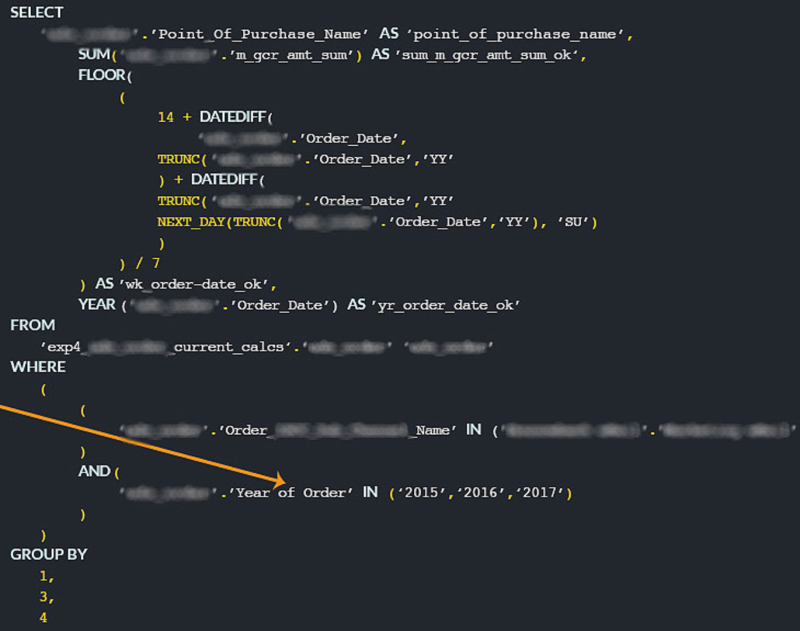 While this still works when Tableau is connected to AtScale, the resulting query that Tableau sends to AtScale will contain a sub-optimal WHERE clause in the query statement. 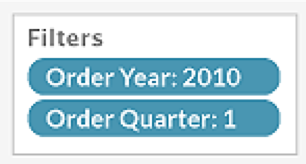 As an alternative, the cube designer can pre-process the YEAR from the Order Date (Year of Order) and make it available as a dimension for the Tableau author to use directly. 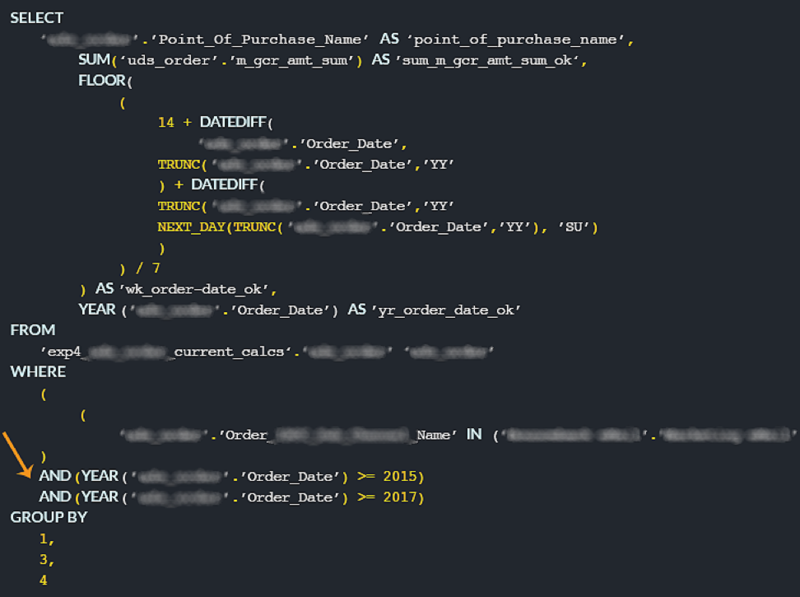 The “Year of Order” dimension in the filter shelf will present a much cleaner WHERE clause in the query statement. We hope this set of best practices help you gain immediate value from all the capabilities that AtScale offers as the industry’s most robust and scalable business interface for big data. Stay tuned for more!